Scrambling...as in Hero Arts card scramble. I participated in one last Saturday, and then we drove to Ohio to visit family. I am just returning and hope to catch up on blog visits. Next week I leave for California, hubs has to work and won't be able to join me. 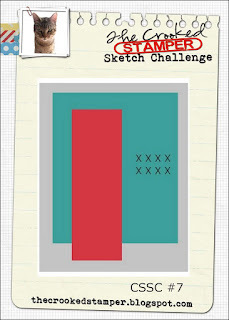 Our challenge for the scramble was to use an outline and a solid Hero Arts stamp to complete our card. I managed two quick cards. (I'll be sending them to Hubs while on my trip). During our courtship I often sent cards to him. He often sent me flowers. He is much better at keeping up the flower sending /bringing home than I am with the card sending. So I make a special effort to do so when I am away visiting my Dad. During the recent meteor shower, hubs and I went out to a dark spot and watched the sky for about an hour. We were pleased to have seen about 30 meteors, 12 or so of which were nice long streaks across the sky, so I think he'll enjoy the star card. My fifth card from the kit (I could so make lots more, love these papers and stamps) uses distress inks to create a summery backdrop. I had sent this off to my Dad before taking a picture, but he sent me one when it arrived. Yea Dad! For this Simon Says Stamp July kit card, I added the Super Geo Tag for a focal point and a few die cut starts from the holiday shapes die. 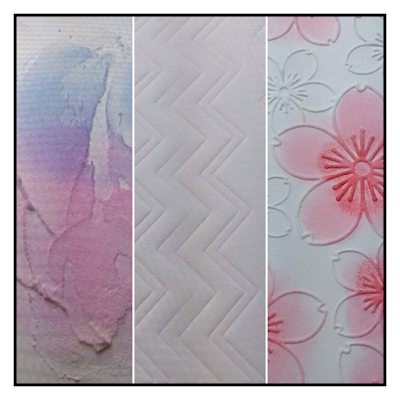 Card #3 from the Simon Says Stamp July Kit. I wanted some thing a bit girly but still nautical. I used watercolor for a softer background. This week I am tackling the July Simon Says Stamp card kit. Its got wonderful nautical papers and stamps. I added a couple of other Simon Says Stamp items to make this card, stitched circles, Flag on a Line and Flag card dies. This series of cards are all A1 or 4 Bar sized cards. Embossing is the challenge over at Avery Elle's AEIHeartU Challenge this time around. I started with a small orange inked circle, then I made it bigger with yellow ink. I used two Avery Elle stamp sets to piece together my sentiment (Peonies and Simply Said:Love). After the sentiment was stamped and heat embossed, I embossed the entire card front with an embossing folder from Cuttlebug. This is an A1/4Bar card. I thought about Leigh's sketch for Case this sketch 136 for a long time. Then I went through my new stuff bin...and it came together in the time it takes for watercolor to dry...almost. I started with watercolor paper and the gansai tambi watercolors. I created a rainbow panel. While that dried, I grabbed the sentiment from WPlus9's Sending Sunshine stamp set. My watercolor piece was die cut using Simon Says Stamp Stitched Flourish. 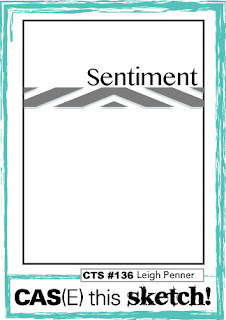 I used the flourish die to position the sentiment on my block for stamping so that it would follow the flow of the flourish. Using Versafine Smokey Grey ink I stamped the sentiment and the trio of raindrops. Now I was ready for my flourish, but it wasn't dry yet, so I got out the heat gun and dried it. Sometimes I queue up a play list of crafting video's on You Tube and watch them while I craft...virtual crafty friends! I got a bit involved in a video and burned a spot on my watercolor panel...but no worries...I was able to cut around it. 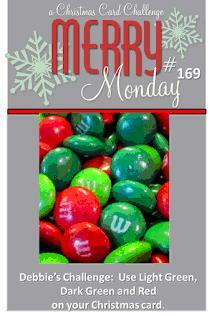 This is my second post today, my guest designing post at Merry Monday is HERE. Hello, a few weeks ago I won the "hearts" challenge over at Merry Monday, and as a result I am thrilled to participate in this challenge as a Guest Designer. Thank you so much Bonnie for choosing my card as the winner among such wonderful entries. I very much appreciate it. On to the current Merry Monday challenge. Debbie has asked us to use Light Green, Dark Green and Red on our Christmas cards. I recently got my hands on a hexagon cover-plate die and I thought I would try making a tree from the shapes. I colored the hexies with copic markers and added some die cut bows with a Memory Box die. The star is an epoxy sticker. The sentiment comes from Simon Says Stamp Joyful set. 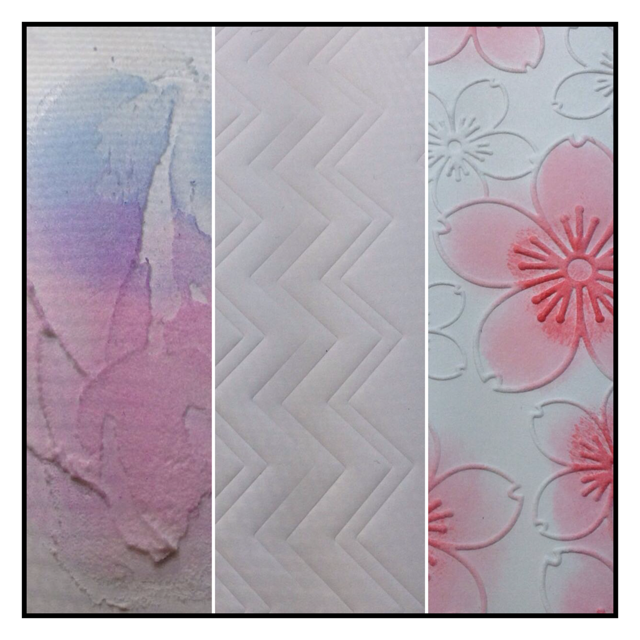 The cardstock/base is from Stampin Up. Come give the challenge a try here. Remember summer challenges run for two weeks. I am looking forward to seeing your creations :-). No card today, just a hello and sharing some pictures of a recent outing I had with hubs. For much of my life I have not liked heights nor bridges. Not to the levels of avoiding them altogether - my logical side won't allow those fears to take that tight a grip. 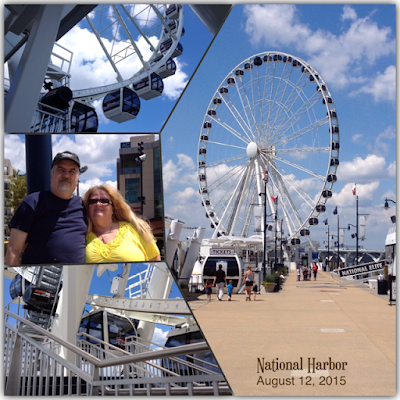 I have been know to close my eyes when riding over bridges (no not while driving...lol) and I avoid Ferris wheels. I am not a fan of flying, but one does have to get places more quickly than by train, bus or car. tackle the Ferris wheel thing...kinda. Hubs and I drove to National Harbor to ride the Capital Wheel. Its one of those huge wheels with enclosed gondola's that are climate controlled. The ride is about 5-7 minutes...I lost count. I had absolutely no sense of being so high up off the ground. It was WONDROUS! The views were spectacular. We plan to go back and ride again...I think fall with the leaves in color would be great...and at Christmastime to see the lights and decorations. Here is the second card from the June SSS card kit. I added the "birthday" from Simon's Handwritten Sentiments. The cupcake sticker started out as a snow cone, but a cupcake fit my design better so I snipped the end off. I subscribe to the Simon Says Stamp card kit, but I am selective on the months I choose to purchase. I really liked the Smile die included in the June kit, so I purchased it. Then it arrived, and I had a heck of a time trying to figure out what to do with it. And it sat, and sat, over the weekend I finally I decided to tackle it. The kit has great papers, card bases, cute epoxy stickers and some great words and a fabulous sun image in the Happy and Smile stamp set. 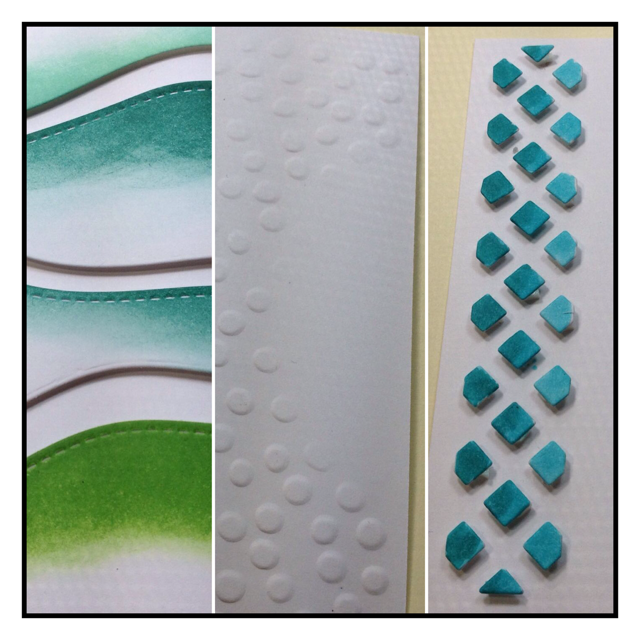 Here is my fourth and last card from the June Simon Says Stamp card kit. To the kit items I added the Super Geo Tag die cut and a sentiment from the Happy Every Day stamp set. I added the Birthday circle sentiment die, the Sizzix Large Polka Dots embossing folder and a stitched banner from Pretty Pink Posh. I really love this combination of green and gold. The gold embellies are wood veneer pieces heat embossed with gold EP. I am also entering this to CSSC#7. I took a liberty or two, but its there. What do you do with your newly purchased crafty items? I put mine in a bin. There they await being added to my inventory spreadsheet, given a new home in a labeled plastic sleeve, and to be used to make cards. My bin is getting crowded, so I am going to tackle it in earnest this month. First up, Simon Says Stamp's Present Shaker. I put the shaker together, and used some lavender fun foam for the bow and the sides. I colored the cross pieces to match the bow. The shaker bits are a combination of micro beads, white seed beads, and Martha Stewart's hearts and stars confetti glitter. PS. Here is a picture of the bin, I also have a couple of SSS card kits that need to be played with! The last two lessons and design day have now passed. I always have a bit o melancholy when an online card class ends. I enjoyed the new format on this one. Two days to make backgrounds trying out various techniques then a day to turn them into cards. Two parts in one class. I tried several of the techniques, but make only 4 cards. Again these are mini cards for me to keep with my lessons. It was a fun class, I'll definitely think more about my backgrounds when composing cards. I was in such a hurry to make my card to ship it off to Jo in England, that I used the colors for the August challenge by mistake. Fortunately, my card can slide into the category of Friendship. Upside, I love the colors of mustard, coral and gray...so I get to use them again this month!